OZ Plus has been discontinued by the manufacturer. However, we have other great options in Electric Micromotors – Here. RAM OZ Plus Electric Micromotor System. 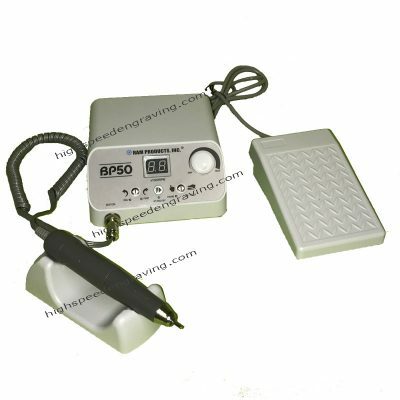 Commercial grade electric wood carving tool at less than half the cost of comparable tools. 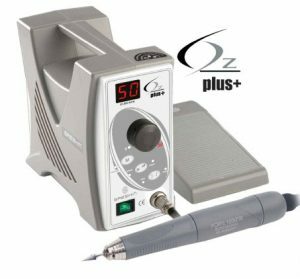 The OZ Plus Electric Engraver (also referred to as a Micromotor) by RAM is a great choice for the serious wood carver. It is a commercial grade tool at a hobby price. It features a brushless motor with tons of torque and a top speed of 50,000 rpm. Just plug it in and go. 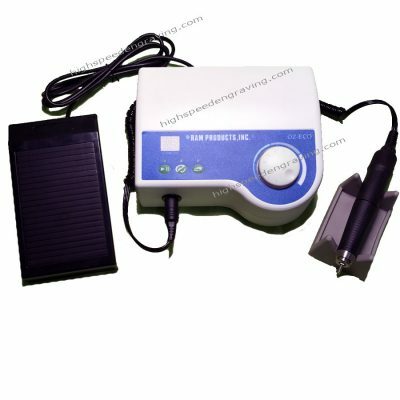 Operates on standard 110v. No compressor, no oil, no hassle. The handpiece is very quiet, the operation is as smooth as it gets. If you are looking to remove large amounts of material in less time, yet maintain precision and even do high detail carving, this RAM OZ Plus System should be seriously considered. 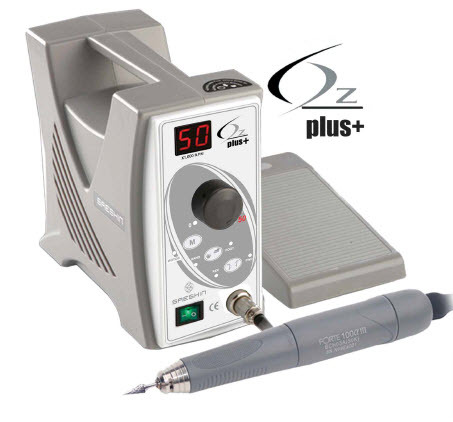 The OZ Plus will perform with much higher priced engravers but costs much less than higher end micromotors. This is really an impressive tool for the price. 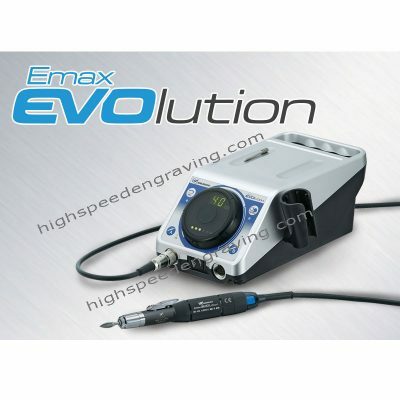 Used by professional Wood Carvers Worldwide – such as Dyke Roskelley – Professional Wood Carver. The RAM OZ Plus Mircomotor Set includes Controller, Handpiece and Foot Control. Chuck reducer sleeves are optional. Chuck reducers allow you to easily and quickly switch between different bur sizes without the hassle of changing chucks. For example, if you are carving with a 1/8″ shank bur, and want to use a 3/32″ bur, simple insert the 1/8″ to 3/32″ sleeve, then the 3/32″ bur and lock down the chuck. 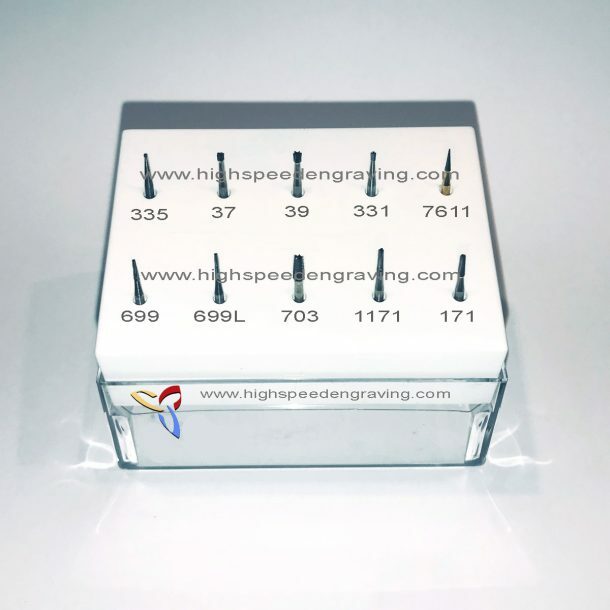 You can even reduce all the way down to 1/16″, high speed friction grip burs using the 1/8″ to 1/16″ reducer sleeve. If you are using burs with different shank sizes, these are a “must have”. No matter what Electric Micro Motor System you choose or have, you must try Saburr Tooth Burs!